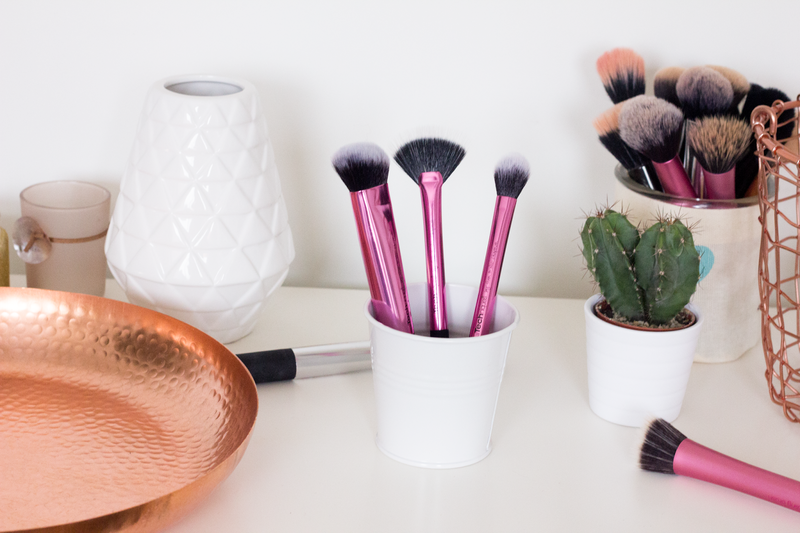 Happy Monday beauties, welcome back to the blog. 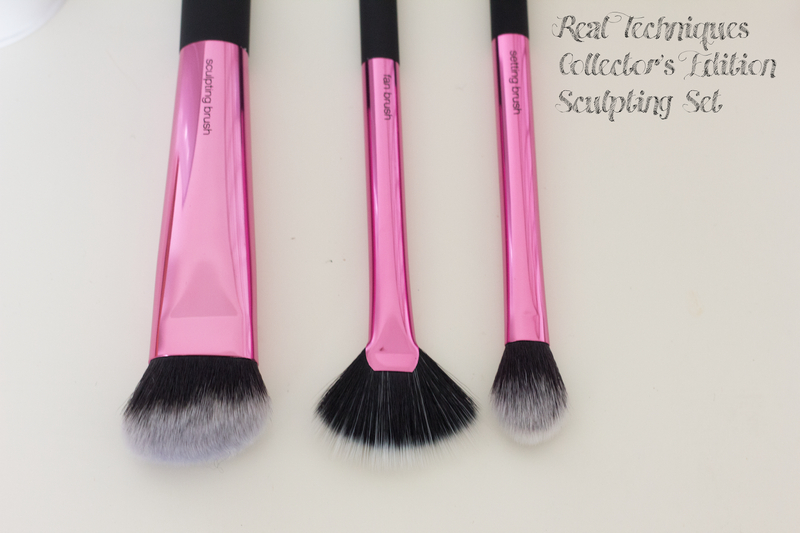 Today I have to show you the newly released Real Techniques Collector’s Edition Sculpting Set. I have been terrible at getting stuff done last week and it resulted (among other things) in only one post. Sigh. I should really get on top of things and plan my blog posts better, writing more in the weekends. As we all know, life just gets in the way sometimes. The house is finally pretty much done and now I’m on to the final rush to get all my experiments done at work before writing the PhD thesis. Cross your fingers for me that I can get everything done in time!Life aside, let’s talk beauty. Contouring has been all the rage in the beauty industry lately with brands launching contouring kits left and right. However, there aren’t many options regarding contouring brushes at the drugstore. Of course you can splurge on the infamous NARS Ita brush, but for those of us with a lower budget, it was about time we got a nice complete kit to do all our shading. So a warm welcome to the Real Techniques Sculpting Kit. 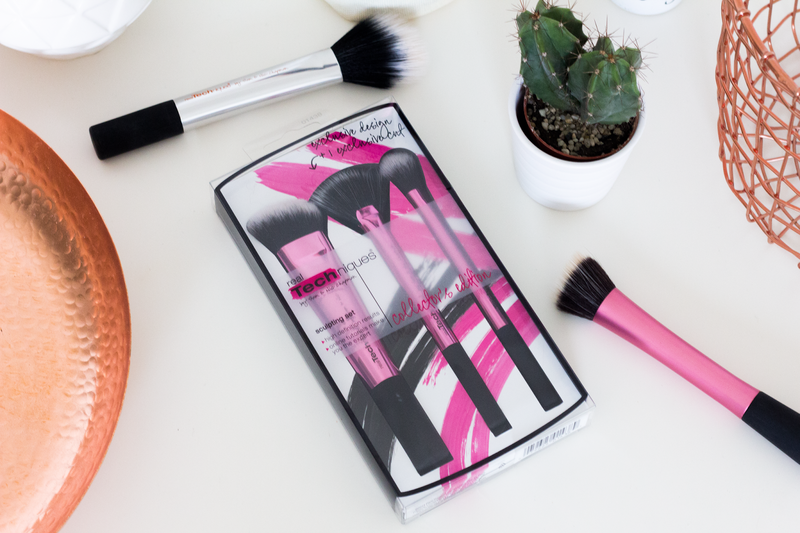 This is a limited edition set that comes in an exclusive shiny pink design and contains three brushes, two in the permanent range and one exclusive cut. The first brush is the Sculpting Brush, newly released in the permanent line and gives the name to this limited edition set. The main idea is to use this dense angled brush to carve out your cheekbones and temples, aided by the soft bristles to achieve a natural blended contour with little effort. As soon as I got it I noticed how similar it looks and feels to the Cheek Brush from the Nick’s Picks set so I decided to take a closer look. 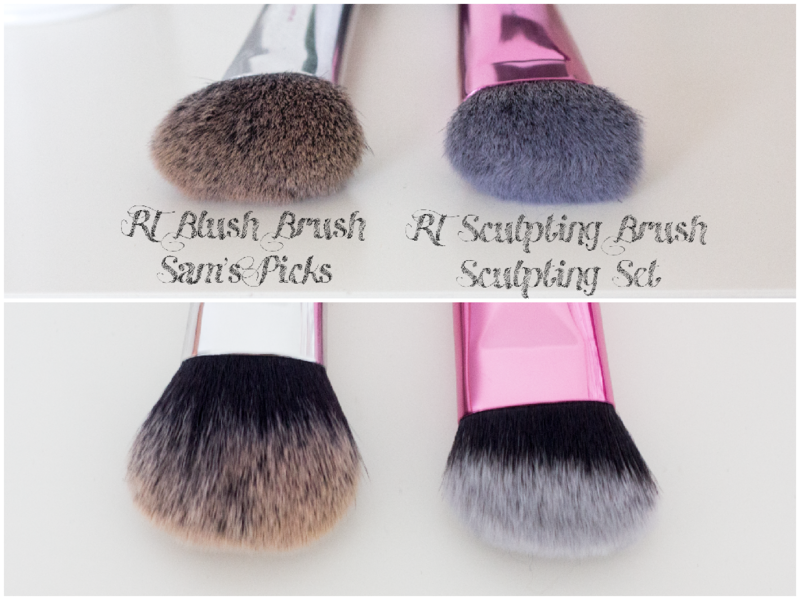 They are both denser than the average powder brush and feel very similar, but the Sculpting brush has shorter bristles and a more angled cut, whereas the Cheek brush has a longer and rounder cut. 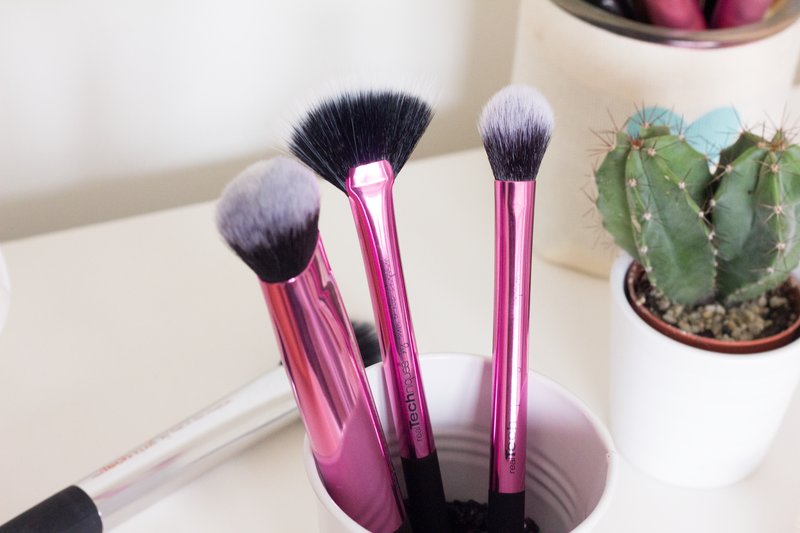 You can apply a lot of product with these brushes if you are not careful, but if used with a light hand, the lighter bristles do a great job at distributing and blending and each one has the appropriate shape for its function. Up to now I have been using the Contouring brush from the Real Techniques Core Collection but that is quite small and takes some work, whereas this new cut make contouring much faster. I have become quite a fan. 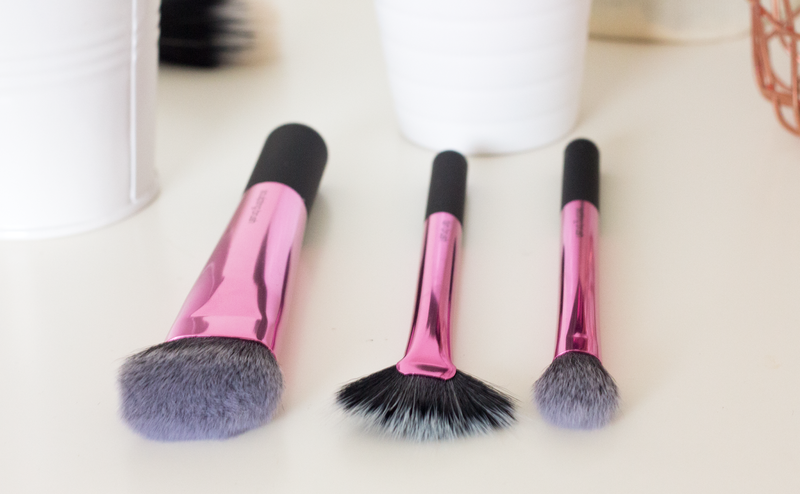 The other brush already present in the permanent line is the Setting brush, available to be purchased individually. This small fluffy brush is perfect to set your under eye concealer with powder and apply highlighter precisely, which is how I’ve been using the one I already have. This might not be a new addition to my collection, but it’s always handy to have more multitasking brushes like this one. Finally the set exclusive is the Fan brush, which got me really excited because I didn’t have one in my collection. This cut is perfect to apply a light layer of highlighter, or contour your nose very precisely, or swipe away eyeshadow fall out from underneath your eyes. The bristles are extremely soft and it is a real pleasure to swipe over the skin. I knew I couldn’t resist this when I saw the sneak peaks of this set, because I was already thinking of buying the Sculpting brush alone, released a few weeks earlier. The value is definitely higher when buying this set, which retails for 20$. The sculpting and setting brushes bought individually would cut you back of 18$ alone, so you pretty much get the fan brush for only 2$. As I type this the Collector’s Edition Scultping Set is sold out on realtechniques.com but should still be available in physical and online stores who have stocked up. If you can get your hands on it, I really recommend it, otherwise you can always get the two brushes from the permanent line. Did you manage to snitch this set up? Are you interested in any of these?